The smell of a cake baking in the oven is really lovely and the anticipation builds as the cake is almost cooked. 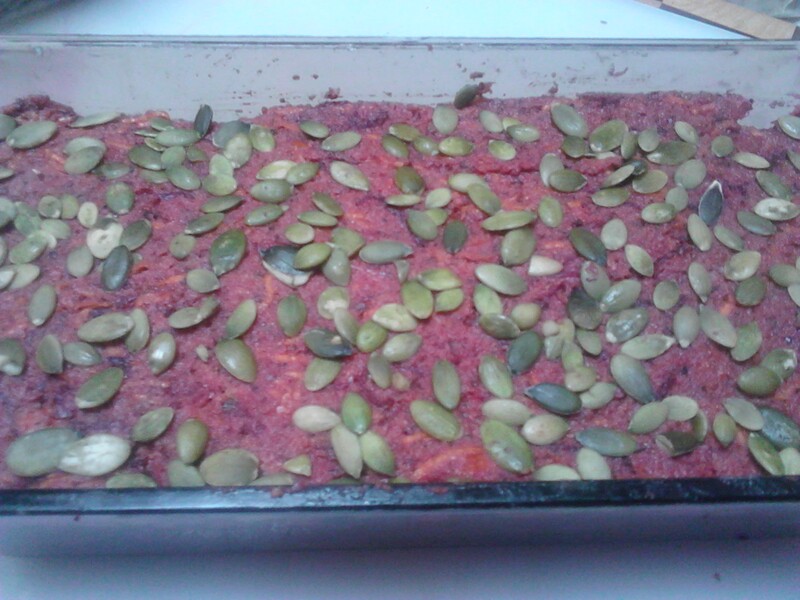 This recipe has a lovely combination of fresh beetroot and pumpkin in a paleo friendly, gluten and dairy free recipe. 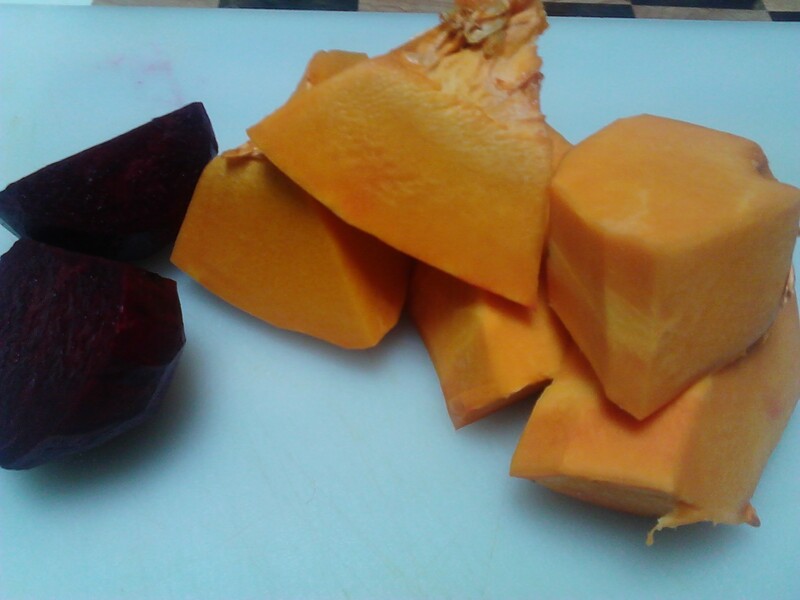 Fresh beetroot and pumpkin as shown in the picture. I used one medium sized beetroot. Grate them in the food processor using a fine grating disk or hand grate if you don’t have a food processor. Place all of the ingredients into a bowl and mix well. 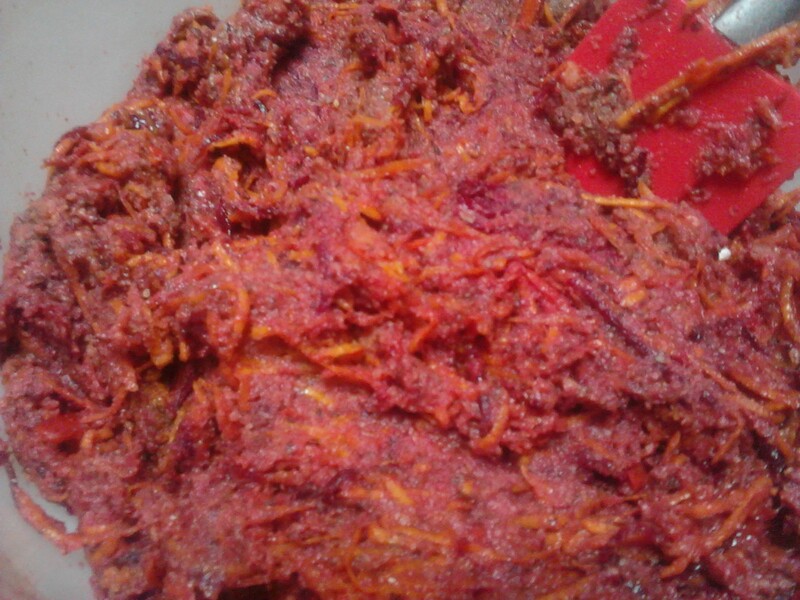 Mix the ingredients well ensuring there are no clumps of beetroot or pumpkin. 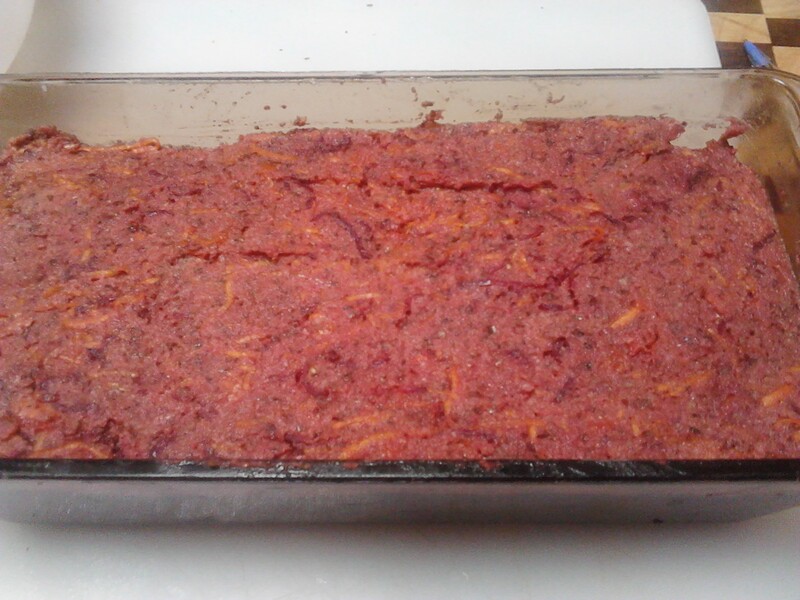 Place the mix into a greased and lined loaf dish. Use a spatula to ensure the top is smooth and even. 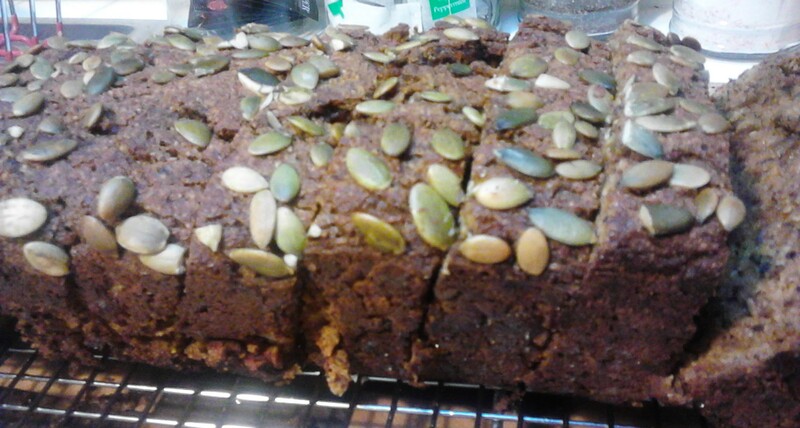 The pumpkin seeds add a lovely crunch to the top of the cake. Bake in a pre-heated 180 degree celsius oven until well done. It is quite a heavy cake so will have a very golden brown appearance when cooked. 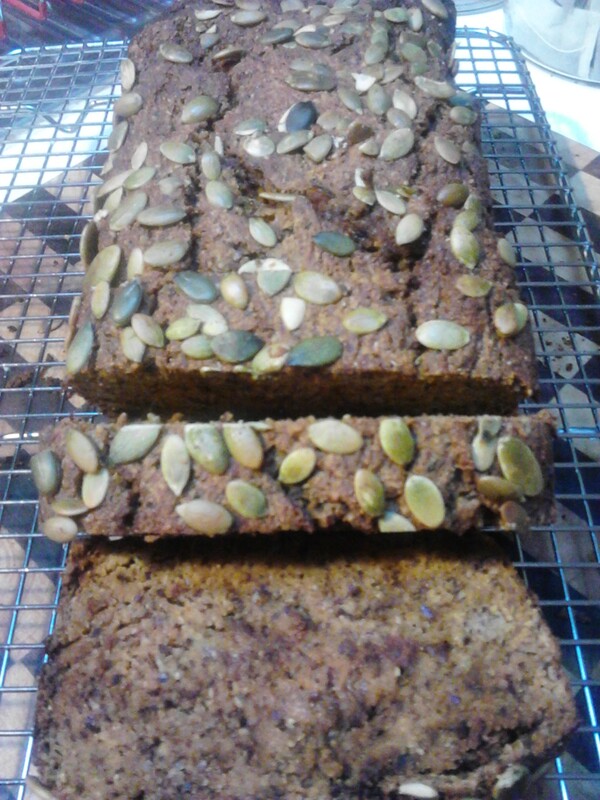 Remove from the baking dish and let cool on a cooling rack. Slice and eat. Freeze any leftovers for the lunch box. A lovely moist cake with an interesting sweet flavour!